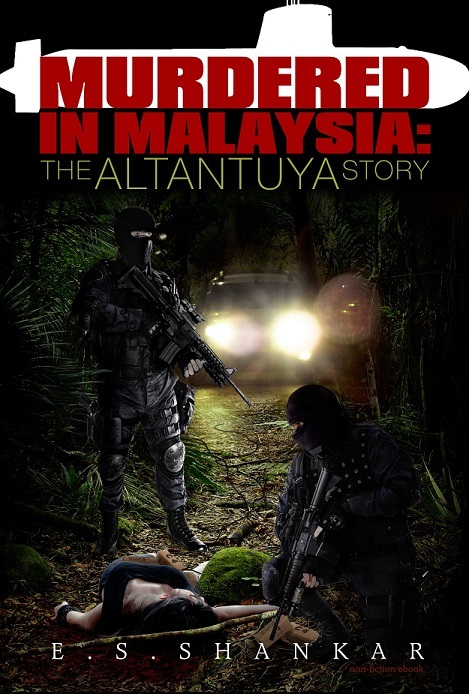 This meticulously researched, honest and informative book is for you and for all those Malaysians who want to know the full truth about the disgraceful and barbaric murder of a Mongolian girl who had the misfortune to associate herself with certain persons which led ultimately to her murder and the disintegration of her dead body, and perhaps her unborn child, by explosion. E.S Shankar has produced a tour de force in terms of research and the comprehensive scope of his enquiries, leaving no stone unturned in his quest to bring to light facts that were disgracefully suppressed and covered up by one of the most shocking examples of interference in the judiciary that Malaysia has experienced in its history. The impact on the independence of Malaysia’s law enforcement agencies has been far-reaching and malign. As E.S. Shankar’s book makes clear, the murder of Altantuya Shaariibuu was not an unpremeditated killing, carried out by “rogue cops”. It was planned with care and needed the intervention of very powerful people to make it happen – and then when it was discovered, to cover up the truth. And all that simply to save the face and reputation of a very powerful Malaysian personality. Malaysia owes a debt to this brave author who has dared to lay out the facts that others have attempted to hide. His book may read like a thriller, but it is the chilling truth and everyone should take time to understand its consequence.